Registration is OPEN! You must FIRST register for the Marathon before. You do NOT need to be good at bowling to be a part of this. This is about having fun and meeting new people from different cities!! Four teams of 4 players will compete on Saturday afternoon. Teams will consist of players who are all from different cities if we can balance it that way. Scroll down to see the photos of last years Champions and runners up!! You can sign up below and it’s FREE!!! 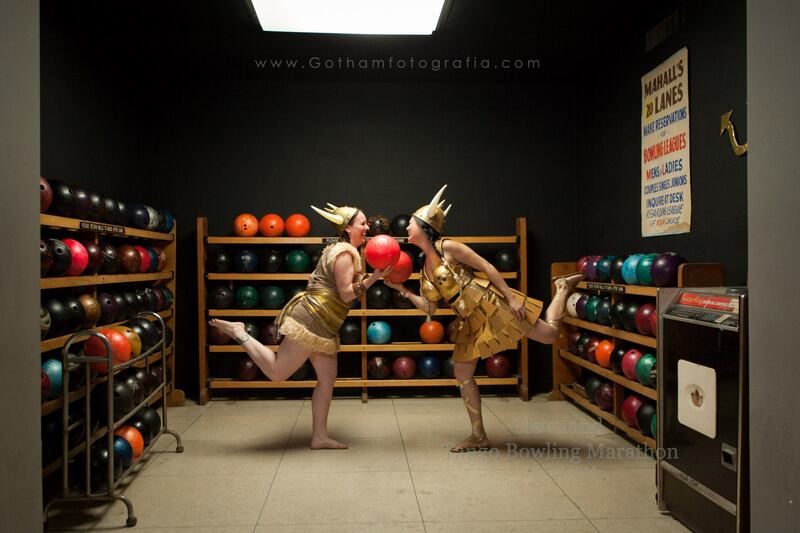 2014 Cleveland Tango Bowling Marathon photos! 2013 Cleveland Tango Bowling Marathon BOWLING CHAMPIONS with their trophies and the runners up! Fill in the info below to join for the 2018 bowling league which will take place at 4pm Saturday September 8th. You must be registered with the FULL PASS to participate in this event. This event is just for fun. All participants are amateurs and some have never even played. All teams a selected at random so we will not have any handicapping.